Veteran columnist D.B.S.Jeyaraj sees it as an attempt to bring back an inter-religious division in Tamil politics. COLOMBO: The formation of a Hindu political group “Siva Senai” (Siva’s Army), with the vowed purpose of defending Sri Lankan Tamil Hindus from “other religious groups” and securing for the Hindus their rightful place in Tamil political parties commensurate with their dominant status in Tamil society, is seen by observers as a regressive development in Sri Lankan Tamil politics. Veteran columnist D.B.S.Jeyaraj sees it as an attempt to bring back an inter-religious division in Tamil politics which was there in the first three decades of post-independence Sri Lanka. Jeyaraj remembered that in the 1970 parliamentary election in Kakesanthurai, C.Suntharalingam, an orthodox Hindu, had challenged Samuel. J.V.Chelvanayakam, the Christian leader of the Ilankai Tamil Arasu Katchi (ITAK), by asking voters to choose between the “Siluvai” and the “Soolam” – the Cross and Trishul. But the largely secular Tamils chose neither and voted for Chelvanayakam. the Christian leader of the secular Federal Party. Tamils generally ignored communal appeals and sent many Christians like Alfred Duraiappah, C.X.Martyn and Joseph Pararajasingham to parliament, Jeyaraj said. In the era of militancy, from 1983 to 2009, the secular Tamil Tigers did not allow religious affiliations to split the Tamils. In fact, the Catholics played a key role under in the LTTE as they did in the democratic phase of the Tamil movement earlier. But the moment the over-arching control of the Tamil Tigers ceased, following their military defeat in May 2009, religious divisions began to appear as one of the instruments of political mobilization. Just as the re-eminence of Chelvanayakam was resented in the early days, the present day pre-eminence of M.Abraham Sumanthiran in the ITAK, is resented by a section of Hindu Tamils. Not surprisingly, the Siva Senai is targeting Sumanthiran. Parading a Hindu identity, which was not a part of Sri Lankan Tamil politics earlier, is no longer taboo. The Northern Province Chief Minister C.V.Wigneswaran wears all the hallmarks of an orthodox Hindu and makes it a point to start his speeches with a Sanskrit sloka. He is also close to Hindu institutions in Sri Lanka and India. Interestingly, he has a running battle going on with Sumanthiran, whose pre-eminence in the ITAK he resents. Former MP, Murugesu Chandrakumar, who wants Tamil leaders to look into caste inequalities and social injustices in Sri Lankan Tamil society, feels that the Siva Senai’s decision to ignore the “internal problems” of Hindu society and to focus on the “external threats”, will only perpetuate age old injustices in Sri Lankan Hindu society. Economist and social activist Ahilan Kadirgamar says that a Seva Senai modeled after the militant Shiv Sena of Maharashtra “can become uncontrollable.” But Rajan Hoole ,who has chronicled human rights violations, believes that Siva Senai will fail just as previous attempts to infuse communalism failed. A comment on Facebook asked if the leaders of the Siva Senai know that the Indian Shiv Sena had opened its political innings by bashing up Tamils in Mumbai. Some like Thirnavukkarasu Gopahan of the Green Trincomalee Movement, see India’ hand in the formation of Siva Senai. “India is again trying to shape the politics of Tamil politics in North Sri Lanka” Gopahan said in a Facebook posting. The Siva Senai has made no secret of its intention to get funds from India primarily. 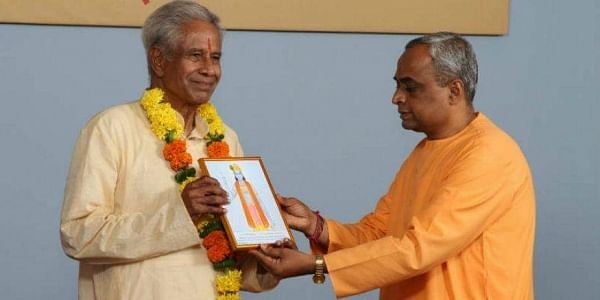 One of the Senai’s founders, S.Yogeswaran MP, is close to the Vishwa Hindu Parishad.